The objective nature and methods used to collect the secondary data may not be appropriate to serve the present situation. Also secondary data may lack in accuracy or they may not be current. Before using secondary data, it is important to evaluate them on these factors. These factors are specifications (methodology used to collect the data) error (accuracy of the data), currency (when the data were collected), objective (for which the data were collected), nature (the content of the data) and dependability (how dependable are the data). In this paper I tried my best to maintain these factors to get better result. a. Combining new technologies with elements of traditional stores and direct mail models. b. Using new technologies to replace elements of store or direct mail retail. Source : Yogesh Malhotra, Florida Atlantic University @ Brint. com LLC Knowledge Management for E- Business Performance : Advancing nformation Strategy to `Internet Time’. 1. Expand market reach : This is one of the major advantages of doing business online. A little company now has the ability to reach markets far beyond its traditional vicinity while also gaining access to markets beyond its current customer base. 2. Visibility: The Internet gives the small and medium sized company a chance to level the playing field to some extent. On the Internet each company is reduced to the common size of the customer’s browser window. While creating the original web presence may not be inexpensive, the cost of subsequent maintenance is minimal. The Internet provides cost advantages for businesses in being able to update information, post features, and simply maintain a site that is perennially current at a minimal cost and time lag. These features combine to generate a greater presence within the present target market while gaining a greater component of their mind share. 3. Enhance responsiveness : One of the greatest benefits of doing business online rests in its ability promote relationship building with its customers and partners. The Internet is unmatched in its ability to increase responsiveness. Examples of this responsiveness are clearly visible in companies such as Dell UPS and FedEx that now allow both partners and consumers to check various facets of their transactions directly by logging onto their web sites. This interconnectedness comes at a lower cost and on demand thus, providing a more efficient method to respond to customer needs/ wants. 4. New services: Introducing new services in traditional markets is difficult and expensive. The Internet provides the option of introducing new services for customers, partners, and employees at a minimal incremental cost. 5. Strengthening business relationships : The ability to enhance business-to–business communications has a huge potential. In the past companies were using EDI electronic data interchange to streamline business processes and enhance communications. Through EDI suppliers, manufacturers, distributors and retailers were able to share information and enhance the flow of information and goods through the supply chain. While the concept of EDI was good implementation was lagged because the technology cost a considerable amount and hence was affordable only for the large organizations that could afford the accompanying infrastructure cost. The www changed all this. Now the benefits of shared information can be enjoyed by organizations of all sizes big or small at a fraction of the cost. 6. Cost Reduction: This feature has been realized and well understood by the organizations of the 21st century. The blossoming and adoption of the Internet has seen businesses realize enormous cost savings by moving a myriad of services online. From customer service centers, to online tracking of packages, to online brokerages the list is endless. The ability to digitize offerings and provide products/ services on demand has lead business to realize two allied goals of enhanced service at a reduced cost of product, support, and service. 1. Convenience: Online buying is convenient. The consumer has access to an endless array of product and services all from the convenience of home. 2. Costs : Cost comparisons are easily done on the WWW. This process had been further improved with the deployment of programs called bots. These are electronic shopping agents or robots that comb Wed sites, to compare prices and product service features. Factor in search costs and the consumer now has the ability to minimize both the search cost and monetary cost of the product without ever leaving home. 3. Choice : As mentioned above the array of products and services that are offered on the WWW is enormous and growing each day. 4. Customization : This has been a major coup for online marketers. Visit a company such as (http:// www. bluefly. com) and you now have the ability to customize your shopping experience. Merchants now allow consumers to define their entire shopping experience. Bluedfly a clothes retailer on the WWW allows visitors to customize an individualized catalogue, which is updated each time a customer log on. Customers specify product categories of interest and hence are exposed to only those only products that interest them. 5. Communication (Interactive): With the growing diffusion of a wider bandwidth this promise of the Web is finally being realized. It is currently possible to engage in an electronic dialogue with a Web merchant and as bandwidth is enhanced the capabilities will be enhanced to include audio and video formats. Some merchants such as Landsend. com have already incorporated these features into their Web strategy. Studies have reported that lack of access to trade financing, caused by a weak commercial banking system and foreign exchange scarcity, has constrained Bangladesh’s export expansion. The insistence by commercial banks on the use of L/Cs for export financing and the existence of interest rate ceilings on export loans has had negative effects. Indirect exporters are forced to give inter-firm credit for their sales of indirect export items to direct exporter b because they do not have to option of sight or advance payments from direct exporters. The RMG sector emerged during the early 1980s in Bangladesh and information has been the strategic partner in its phenomenal growth. Telex was the only tool of cross border data communication in those days. International courier services were the means of receiving the approved designs from the buyers. The Facsimile machine, in the mid 80s, radically replaced both of these orthodox communicating media (i.e.telex and courier). This “office Automation Equipment” contributed towards accelerating RMG exports. Faster and cheaper data communications coupled with real-time design-pattern development enabled the buyer and manufacturer expediting business negotiations.A specific use of internet technology would be to access. The Bangladesh Garment Manufacturer Export Associations (BGMEA) website, which provides a list of member companies and key information regarding those firms. In addition, it updates and reports on the United States and Canadian quota used for the year on given date. Concurrently, through the web site of the North American port authorities, the volume of quota items have entered their respective countries can be found. A Bangladeshi producer may prefer to stop shipment and wait for the next year (When new quota privileges begin) to avoid the risk of collecting demurrage at a foreign port in case the quota has been exhausted. BGMEA can play a vital role in authentication of buyers and sellers through encryption method. Authentication by BGMEA can ensure the confidence of the importers regarding the genuineness of the manufacturers. This would discourage unscrupulous enterprises from making false claims on their web pages. International Oil Companies (IOCs) are the dominant players in the exploration and production of the oil and gas industry. IOCs use the vendors web pages extensively in order to obtain product information. This exercise is also limited to the international vendors as the Bangladeshi business community has yet to become sufficiently cyber-centric.The IOCs make all the payments to the international vendors through Telegraphic Transfer. This is one good example of making cross border payments without following the complex mechanism of the Letter of Credit (L/C). The local vendors, however, receive their payments by check. IOCs have to abide by the Production Sharing Contract (PSC), signed with Petrobangla, the state oil company. Petrobangla shares the cost of exploration and production with the IOCs after the successful discovery of an oil or gas field. The IOCs are required to justify the procurement of every product and service pertaining to the exploration and production of each well to Petrobangla. If Petrobangla is convinced with the justification, only then does it share the cost with the IOCs. In view of the above scenario, the implementation of e- commerce in the energy sector is yet to kick-off in Bangladesh. Because, the financial discipline of Petrobangla is still being governed by the conventional parameters of Audit and Accounts of the Government of Bangladesh. Therefore, despite having all logistical capabilities and human resources, the IOCs have yet to use e-commerce. However, akin to BTTB, a limited usage of electronic communications with the vendors does exist in the form of bid invitations and providing bid clarifications. Bangladesh is yet to formulate a specific law for protecting the IT sector. 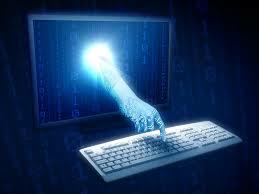 The legal issues like use of computer for criminal activities, cyber crime etc are remaining out of reach. Bangladesh has drafted an ICT Law, which has been approved by the highest authority in February 2005 to facilitate electronic commerce and to encourage growth and development of information technology. In addition, the Copy Right Law 2000 has been amended to include computer software. However these laws are still inadequate to meet a proper legal framework which would ensure the protection of IT sector of Bangladesh both in the country and in the international community. However, recently The parliament of Bangladesh has enacted Information and Communication Technology Act, 2006. 2. Piracy and Copyright. Though the Copy Right Law 2000 has been amended to include computer software but piracy of computer software, use of computer for the piracy of audio and video, composition of books etc are going on in a mammoth form in Bangladesh. All these violate the copyright act. Even there are incidences of producing forged documents like certificates of different Education Boards, mark sheets and many other types of documents which not only pose threats to the IT sector but also to the over all security of Bangladesh. 3. Illiterate Population. Bangladesh is a populous country. Instead of taking the population as a burden, our aim should be to transform this population into power. We have great potential in the IT sector if we can make this population computer educated and put them at the right places to perform their expertise. But unfortunately the majority of our population is illiterate which is posing a threat to expand our computer based education, e governance and automation of different government and public sectors. 4. Low-wages & Poverty. IT professionals in Bangladesh are very less paid in comparison to the international standard. For that reason, many of them get involved in various professions in which they have better opportunity to earn money. 5. Disruption in Submarine Cable. Bangladesh is connected to the submarine cable SEA-ME-WE 4. This cable is sometimes susceptible to break in the sea due to the anchors of vessels. However in recent days there are less incidents of such type. Initially when the submarine cable was laid over the land connecting Cox’s Bazar Landing Station to Chittagong and Dhaka, there were many cases of cutting and stealing the cable. The locals thought that it would have copper strands inside which is of good monetary value. However soon enough their idea changed and now the cutting of cable is in very less in number. However all these incidents were posing threats to the IT sector due to failure of connecting to the internet and many correspondence, data entry etc were affected. 6. Migration of IT Professionals to Foreign Countries. The terminology “Brain Drain” is very much applicable for Bangladesh and especially to the IT sector of Bangladesh. Low wages, inadequate technical facilities, lack of proper job opportunity and lack of research facilities are mainly responsible for this huge loss of Bangladesh. Experts are frequently migrating to foreign countries which suit their purpose. a. Mischief of computer and computer system. b. Alteration of source code of computer. c. Hacking in computer system. d. Publication of false, indecent and defamatory statement or information in electronic form. e. Access in reserve system. f. False representation and concealment of information. g. False electronic signature certificate. j. Disclosing electronic signature for cheating. k. Committing crime through computer. 8 . India’s Development in IT Sector over Bangladesh. This is one of the largest threats to the IT sector of Bangladesh. Despite having lot of potential in this sector we are lagging behind and our neighbouring country is in such a situation that they have gone out of reach of any country in this region on this aspect. In order to create the employment possibility, the IT department of India has taken a series of measures. An education council has been formed by drawing people from industry and academia to work out plans and steps required to be taken to bridge the gap of industry requirements and curriculum of the colleges. There are similar nature of initiatives taken by renowned IT companies which not only train the students but also train the faculties of the colleges producing manpower for IT and ITeS industries. The software export sector alone making the economy of India a much stronger one. In the year of 2002-2003 where India exported software earning USD 9545 millions, they have exported USD 50,000 million in 2007-2008 and hope to increase it by more USD 10000 millions in the financial year 2011-2012. at the same sector in 2008-2009 Bangladesh has exported only USD 43 millions worth of software. 2.I shtiaque Abu Naser Ahmed. 2000. E-commerce- An Emergence of Modern Marketing Concept, The Bangladesh Accountant Journal of The Institute of Chartered Accountants of Bangladesh, October- December. 3. Department for International Development (DFID), 1998. Bangladesh Country Strategy Paper, Dhaka.